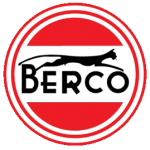 Berco is the world famous Italian brand founded in 1920 and is the worlds leading manufacture for OEM companies in the mining sector. We supply the BERCO brand for the extreme working environments found in NZ. The BERCO brand is sold through Mainline Track on an indent basis.